After I checked in at The Inn on Ferry Street, the woman at the front desk seemed a little hesitant to recommend walking the three miles to downtown Detroit when I asked if it was advisable. She said the area around us was fine, and downtown was fine, but the stretch of Woodward Avenue in between wasn’t exactly a safe place to be wandering around. Later on, when I posed the same question to an employee at the nearby bookstore, she, too, had reservations, but she said it depended on my attitude. Four elegant mansions have been converted into unique accommodations. I wasn’t quite sure what that meant about New York, or Detroit, for that matter, but I followed my instinct and ventured out. As expected, I didn’t have any problems, and I did enjoy it, spending several days appreciating the city’s attractions, from its excellent eateries in Greektown to the pleasant riverfront walkway to the eerily gripping ruins of the city’s former powerhouse automotive industry. Of course, coming home to fantastic accommodations every night certainly played its part in my positive experience in the Motor City, and The Inn on Ferry Street is one of the city’s best. 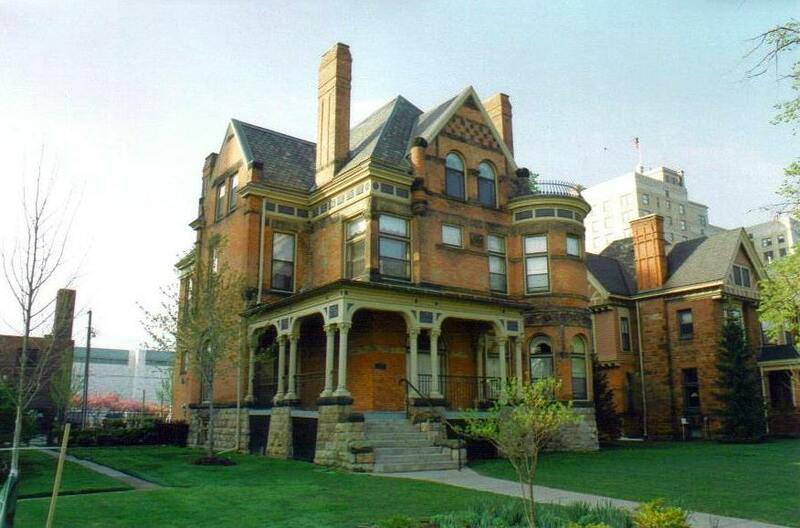 Situated in the Cultural Center on the fringes of fascinating Brush Park, the inn is within a few minutes’ walk of the Detroit Historical Society, the campus of Wayne State University, the Michigan Science Center, and the superior Detroit Institute of Arts, one of the leading art museums in the United States. The inn comprises four restored brick and stone Victorian mansions and two carriage houses from the late 1800s that were converted to the B&B in the 1990s. Fine landscaping surrounds them all, contributing to the beauty of the entire street. Check-in is at the Scott House (1886), the former residence of John Scott, a prominent Detroit architect who built the Wayne County Building and this house. I stepped onto the front porch, which just aches for rocking chairs and lemonade, and through the front doors into a world of beautiful woodwork, a lovely staircase, high wainscoting, and a carved fireplace. 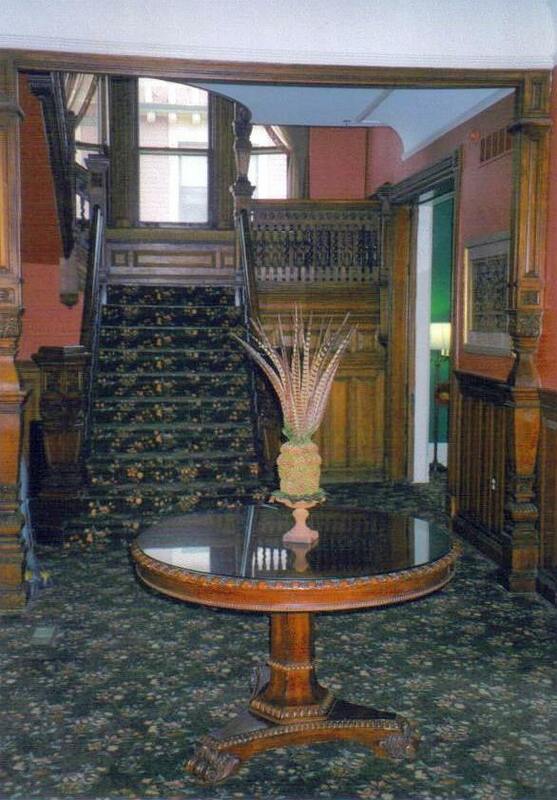 Step into yesteryear when you enter Owen House. With my car safely tucked away behind the inn in the off-street parking area, I headed next door to my sage-green room on the top floor of the nine-room Owen House (1887), which has similar grand features and bold colors, including a double-door entrance, deep red entry hall, wonderful staircase with elaborate balusters and newel posts, and a parlor with two fireplaces and a piano, pocket doors, and window seats. The big sleigh bed in the middle of my room beckoned me every night and held me a little longer in the morning than my schedule had anticipated. Other equally comfortable furniture enticed me as places to lounge: an oversized leather club chair with an ottoman next to an armoire, a loveseat, and two chairs around a circular table besides a couple of windows. A cookie, a bottle of water, and a selection of CDs, all carefully arranged on the end table beside the door to the small but functional mustard-yellow bathroom, awaited my consumption. Breakfast is served in the Scott House, and every morning I would forage among scrambled and hard-boiled eggs, self-made waffles, bagels, fresh fruit, cereal bars, and breads and pastries. My advice while you’re enjoying your first meal of the day is to not be like the father and his young son who sat next to me, with the former’s head buried in the newspaper and the latter’s in his laptop, nibbling on Fruit Loops, and neither saying a word to each other the whole time. Rather, look up, and around, and appreciate your refined surroundings that transport you back to a lost age of gentility and elegance — they grow rarer by the day.